Welcome all former Navy recruits, company commanders, and base personnel of Recruit Training Command Orlando. Whether you marched the grinder, pushed boots, or worked in one of the many jobs at RTC Orlando, this site is for you! Make sure you register on the site to get exclusive access to member-only content. 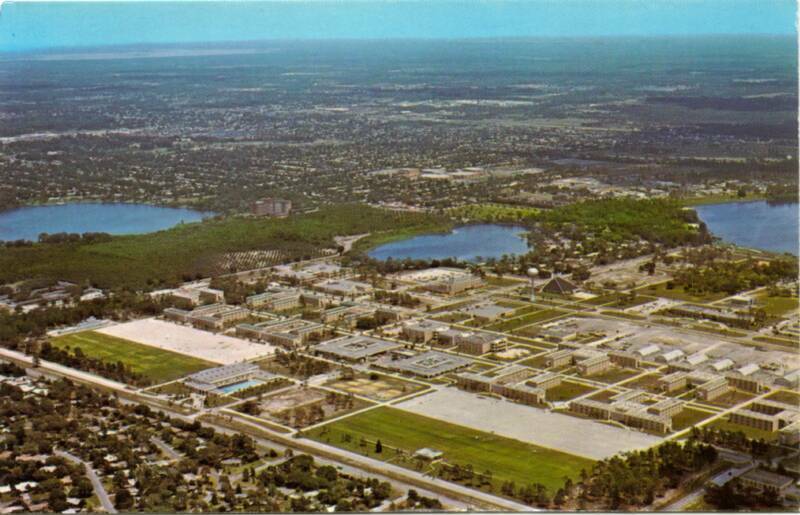 The Navy Recruit Training Command Orlando, Florida was one of three recruit training sites for men (1968–1994) and from 1972 to 1994 it was the only Navy boot camp for women. More than 650,000 recruits passed through its gates before it was closed. Nearly 188,000 of them were women. The former base was revitalized into what is now the beautiful Baldwin Park neighborhood and the aptly named "Blue Jacket Park" after our dress uniform piece and our former training ship. Several folks made calls for a reunion over the years, but it wasn't until Renata Marie (K089/1988) and Tracey Tilllman (K126/1988) took a leap of faith in 2015 and began organizing the RTC Orlando Reunion. Lee Browndorf, Ann Byrnes, Janice McClintock, and Brian Warner also joined the team. Other shipmates also helped with side projects and tasks. The first reunion was held in 2016 in Orlando, FL and at one point had nearly 300 shipmates from all years registered. But Hurricane Matthew struck right before the reunion, and many had to cancel. Still, the first reunion saw 174 RTC Orlando shipmates attend, more than 20 working parties, and countless friendships form. The one common theme among many of our attendees is that they didn't realize how much they missed their Navy family and the Navy camaraderie until they came to the reunion. Many of our attendees had never attended a Navy reunion before, and the vast majority knew no one before coming. Just like when you left for boot camp! The 2018 reunion saw close to 200 shipmates attend with an equal number of returning and new attendees. We had an amazing time this past year, and can't wait to see everyone again soon! At our reunions, we try to keep an exciting schedule of activities while also giving everyone plenty of time to mingle and bond. This year will see our first Liberty Call event as we land in Oceanside, CA and Marine Corps Base Camp Pendleton! With thousands of former recruits and company commanders spanning a 26-year history, these reunions and events will reunite many boot camp friends and companies for years to come. Welcome Aboard! We're glad you're here.